Molle Magazine Pouches, Karrimor SF, Blackhawk S.T.R.I.K.E Magazine pouches, suitable as Molle Rifle Magazine Pouches or Molle Pistol Magazine pouches. 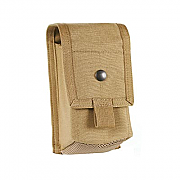 Tactical Molle Rifle Magazine Pouches or Molle Pistol Magazine pouches; both brands are great value. 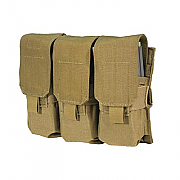 This selection of Molle Magazine Pouches are suitable for most makes and sizes of Rifle or Pistol. Keep your magazines close at hand with these Molle or S.T.R.I.K.E pouches. Fast and easy to attach and use. 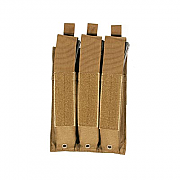 Blackhawk S.T.R.I.K.E M4 Double Mag Pouch, double M4 magazine pouch for 4 magazines. This Blackhawk S.T.R.I.K.E M4 Double Magazine Molle Pouch will hold up to 4 M4 magazines and is ideal for mounting on any Molle S.T.R.I.K.E compatible vest, bag or rucksack. 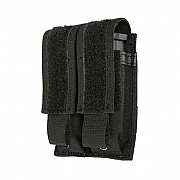 Blackhawk S.T.R.I.K.E M4 Staggered Mag Pouch, staggered pouch for holding up to 2 M4 magazines. 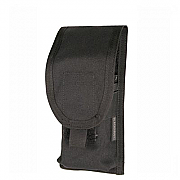 Blackhawk S.T.R.I.K.E MP5 Molle Magazine Pouch, idea for all MP5 9mm Magazines. Manufactured from tough 1000D nylon, Blackhawk have designed this Blackhawk S.T.R.I.K.E MP5 Molle Magazine Pouch for close protection, Special Forces and Police use. Blackhawk S.T.R.I.K.E Double Pistol Magazine Pouch, 2-up pistol magazine Molle pouch with speed clips. This Blackhawk S.T.R.I.K.E Double Pistol Magazine Molle Pouch is ideal for mounting on any Molle or S.T.R.I.K.E compatible vest, bag or rucksack. 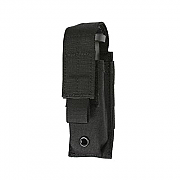 This Molle pouch is designed to fit all pistol magazines. Blackhawk S.T.R.I.K.E. 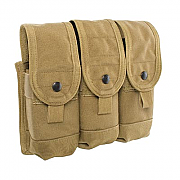 Triple M16/SA80/M4 molle pouch, easy to use molle pouch for G36, M16 or SA80 magazines. This Blackhawk S.T.R.I.K.E Triple M16, M4 or SA80 Molle pouch is ideal for mounting on any S.T.R.I.K.E compatible vest, bag or rucksack, holds three Magazines. Blackhawk S.T.R.I.K.E Single Pistol Mag Pouch, single pistol magazine Molle pouch with speed clips. The Blackhawk S.T.R.I.K.E Single Pistol Magazine Molle Pouch hybrid design allows for mounting up to 2.5" using ALICE clips. Molle S.T.R.I.K.E Single Pistol Magazine Pouch can also be fitted to any Molle vest, rucksack or S.T.R.I.K.E and Molle systems. Blackhawk Triple SA80 Molle Magazine pouch, holds 3 mags. 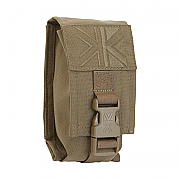 This Blackhawk S.T.R.I.K.E Triple SA80 Molle Magazine pouch is ideal for mounting on any S.T.R.I.K.E or Molle compatible vest, bag or rucksack and holds 3 Magazines. 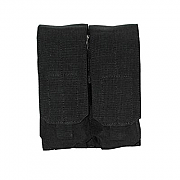 The Blackhawk Triple AK47 Magazine Molle Pouch is ideal for close protection officers or military. 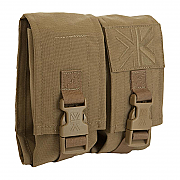 The AK47 Molle Pouch hold six 7.62 curved magazines. Manufactured from tough Nylon, the pouch is easily placed on any Molle compatible vest, chest rig or bag. This pouch will also take 3x 308 magazines in place of the AK47 style magazines.